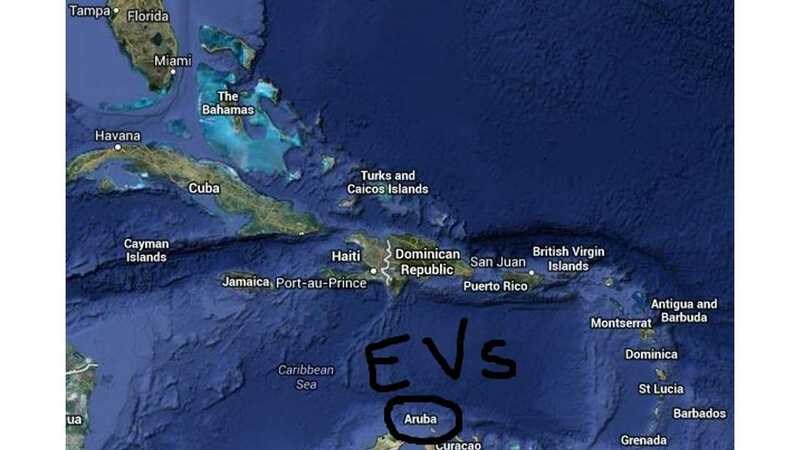 BYD America has inked a deal to electrify Aruba big time. As part of the memorandum of understanding (MoU), BYD America will brings it entire boatload of green technologies to Aruba to assist the Caribbean island in reaching its objective of being emissions-free and entirely energy independent by 2020. To accomplish that, BYD will send over electric buses, some e6 electric vehicles, solar energy generation systems and even some fancy LED lighting systems. "This document signifies both parties interests and commitment to work together to introduce electric vehicles and green products in Aruba." In addition, Aruba will have distributed energy storage, loads of renewable energy generation devices and will even add in educational programs focused on sustainability at all school across the island. So, consider this green drive to be all encompassing. All BYD has to due is provide the equipment to make Aruba's emission-free dream a reality. It'll start small though, says BYD. Expect only 4 electric buses and one electric e6 taxi to arrive in Aruba in late 2013. However, if Aruba meets its 2020-goal, then it'll become the only nation in the world to be entirely energy independent and emissions-free.